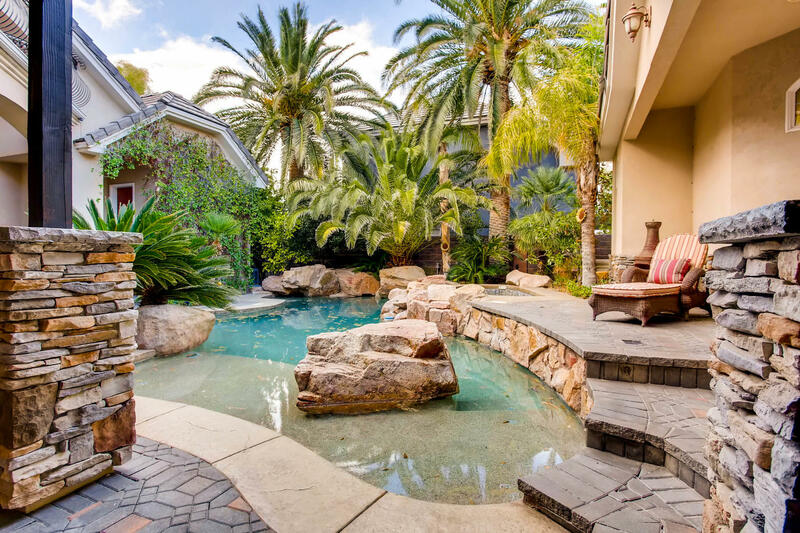 COURTYARD OASIS = AN ENTERTAINER’S DREAM. 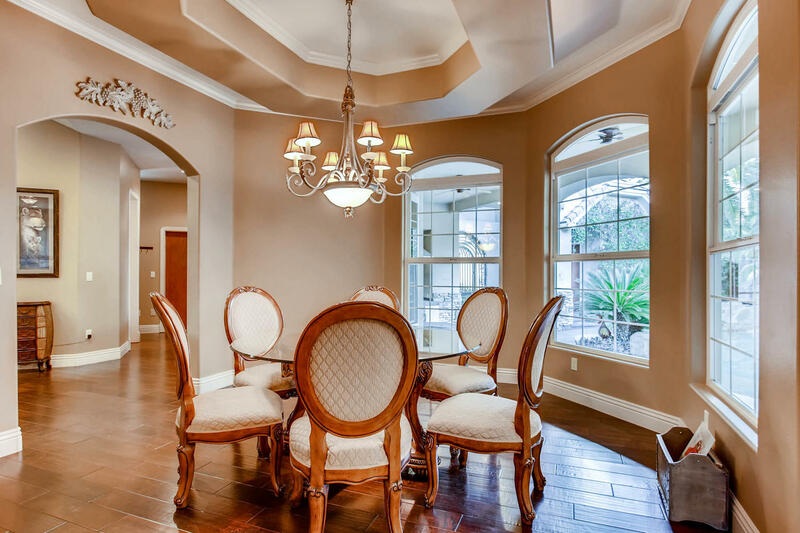 Located in the quiet & discreet North West, 4618 Monterey Oaks Ct is a home unlike any other. 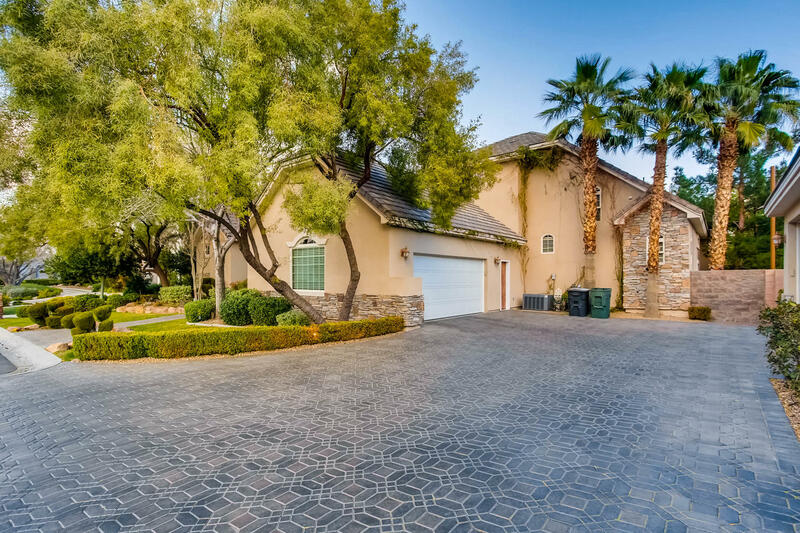 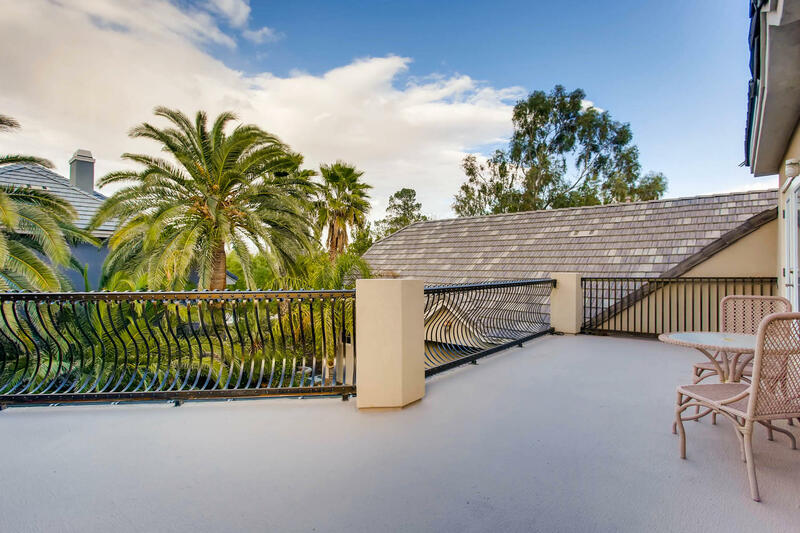 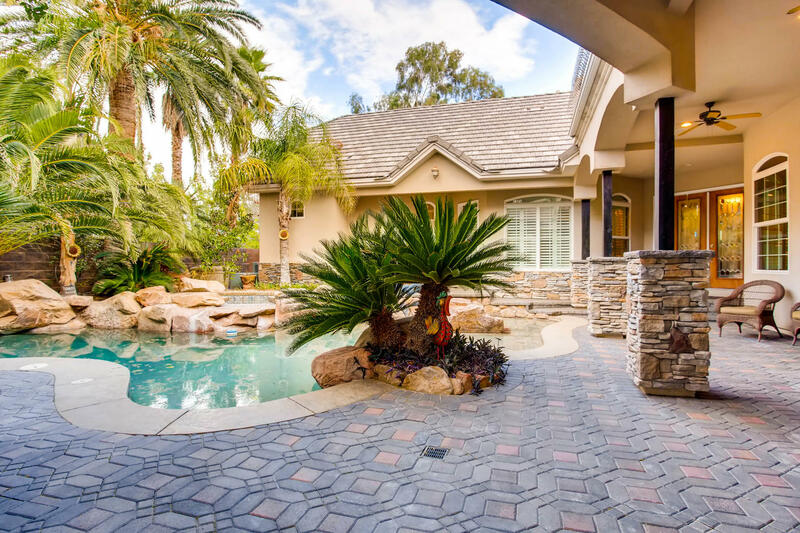 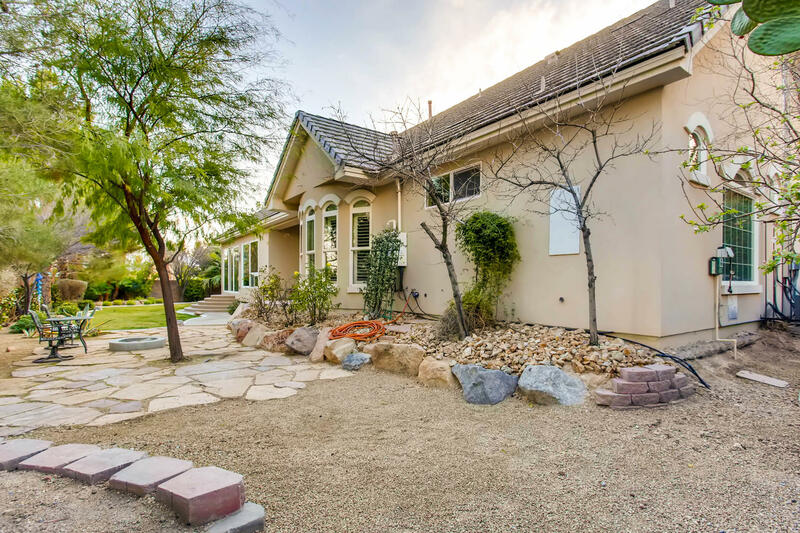 Situated in a quaint gated community on just under half an acre, this home is filled with truly incredible amenities. 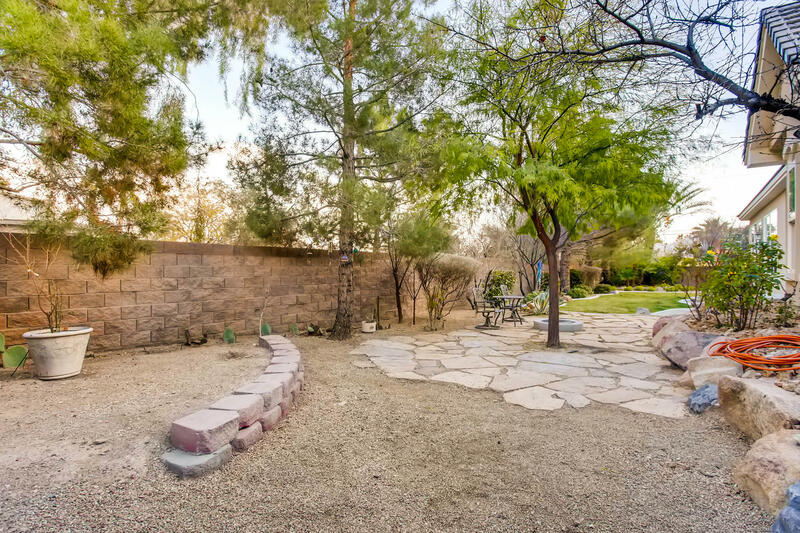 As you make your way across a beautiful paver driveway and wrought iron entry gate, you’re greeted by an intimate outdoor oasis. 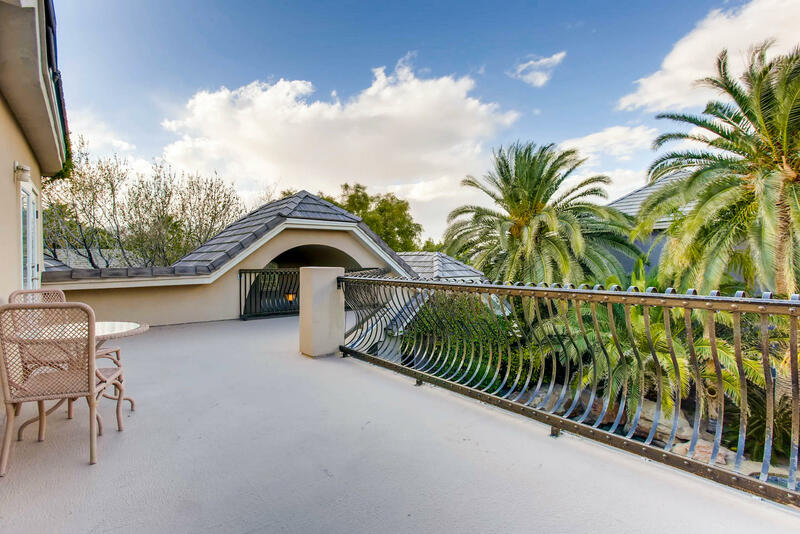 Boasting covered terrace space, lush palm trees and a one of a kind pool & spa, this space is meant for living large. 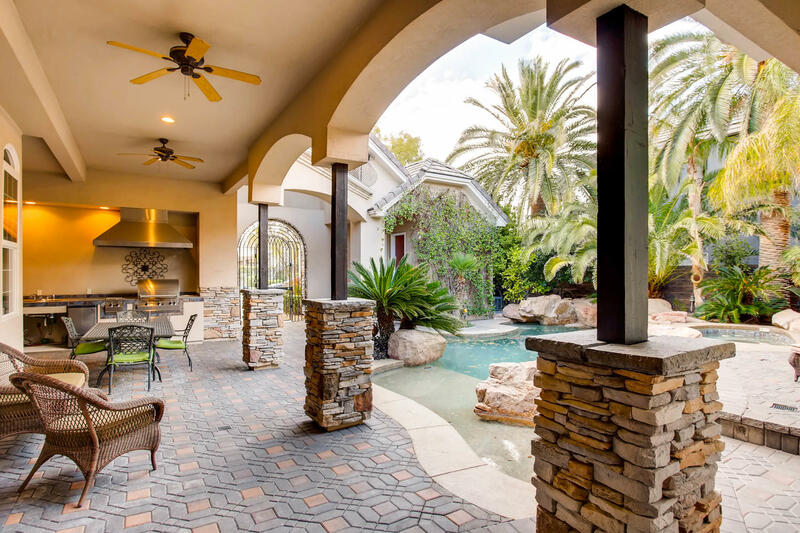 Unlike most homes with a pool and spa located in the backyard, Monterey Oaks offers unrivaled poolside privacy. 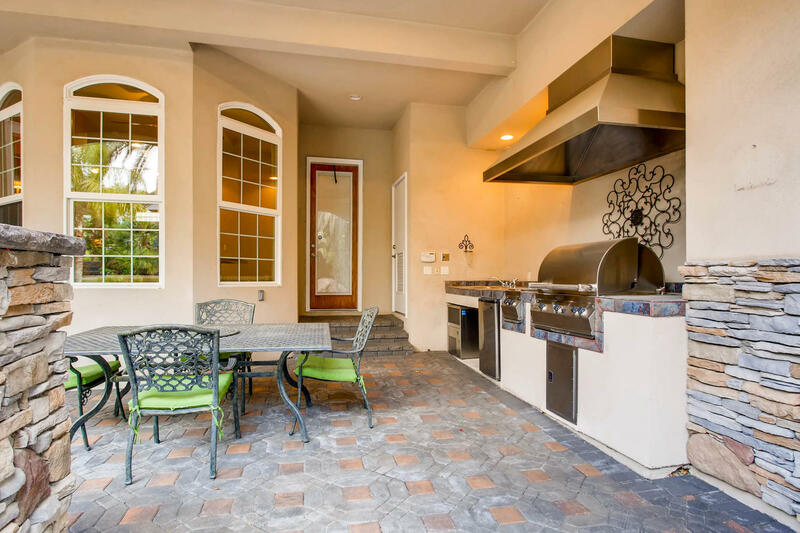 An outdoor kitchen is perfect for preparing Spring and Summer meals in tranquility. 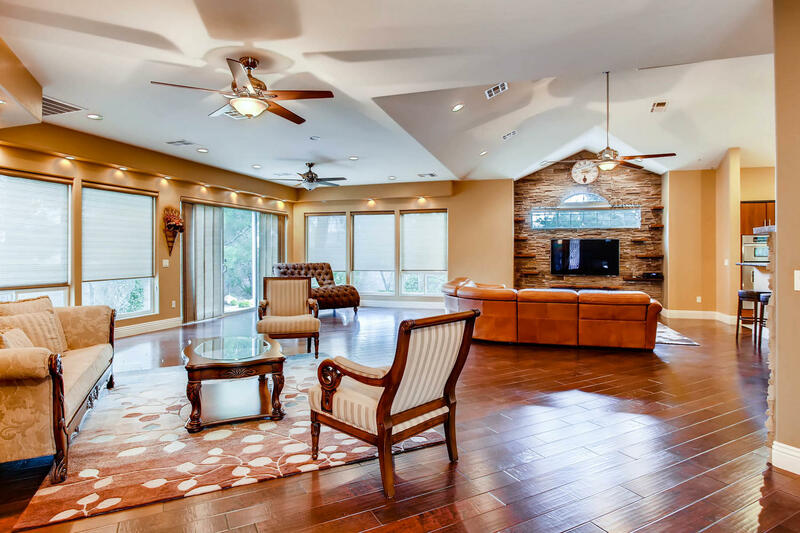 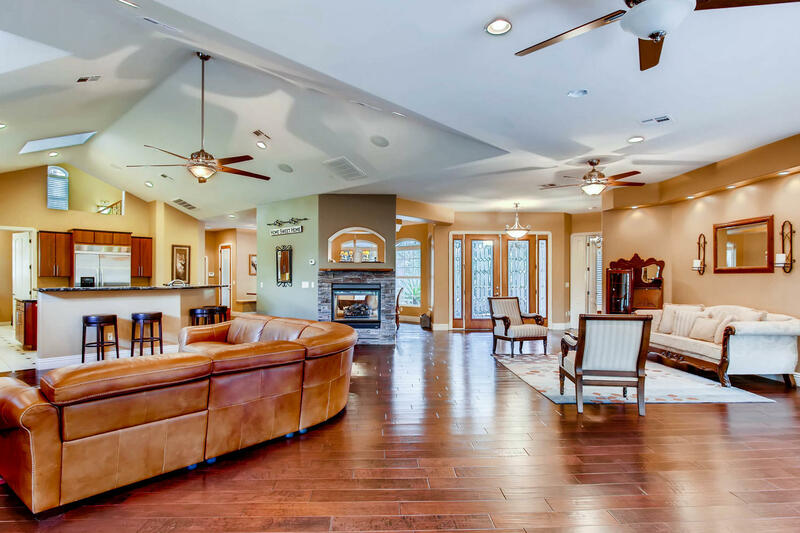 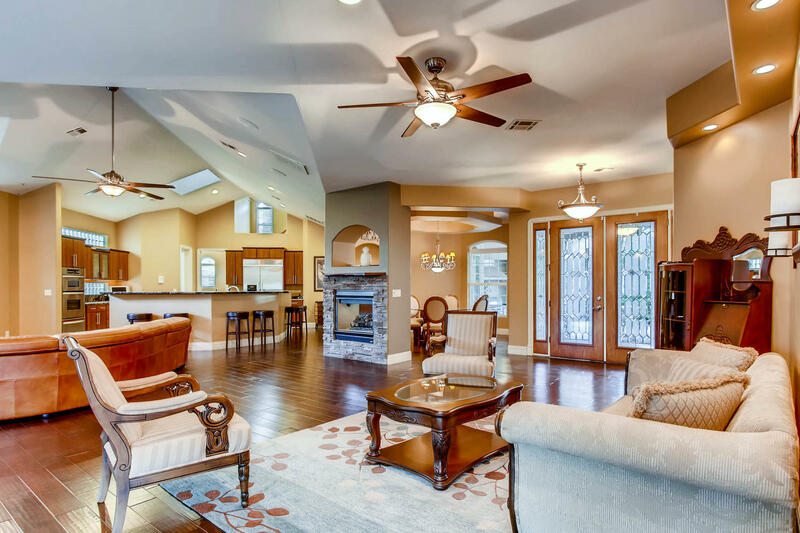 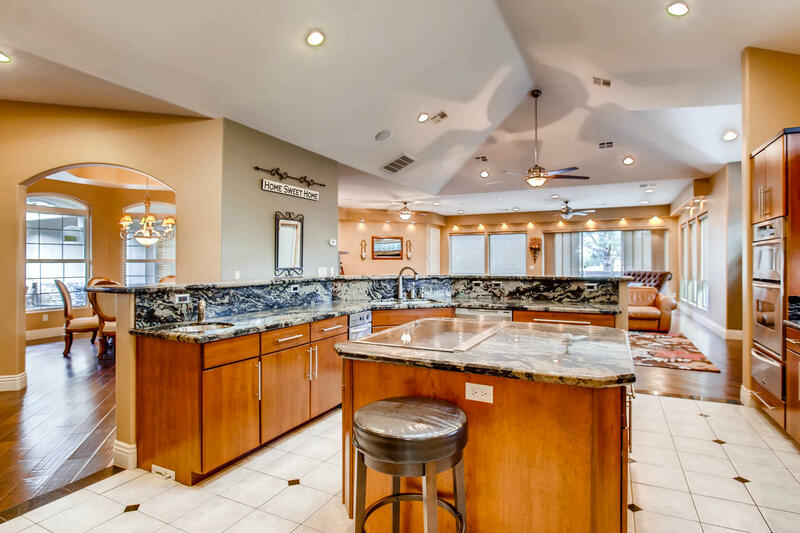 With over 5,000 sq ft of living space, it’s hard to find an area of this home not to love. 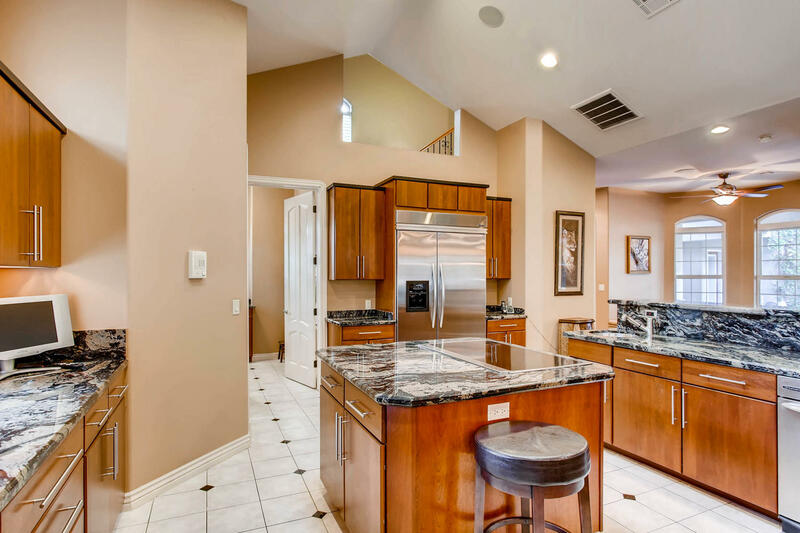 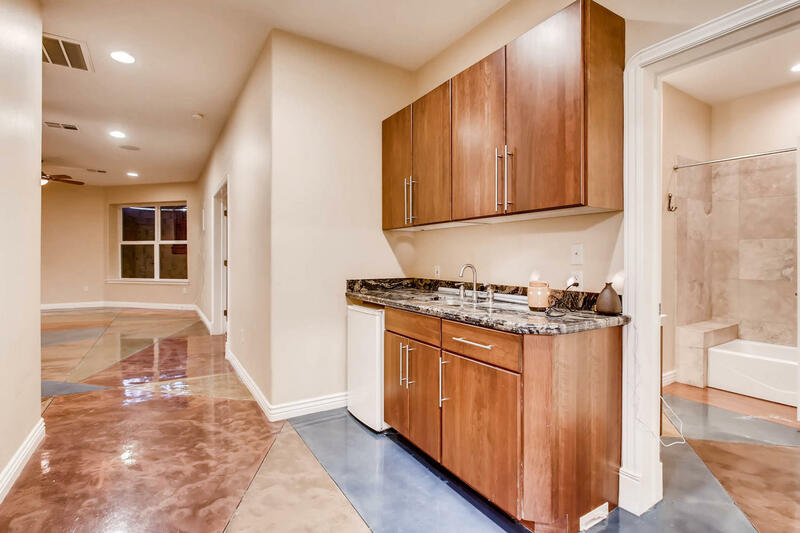 The open kitchen features a breakfast bar, stainless steel appliances, built-in refrigerator, and granite countertops. 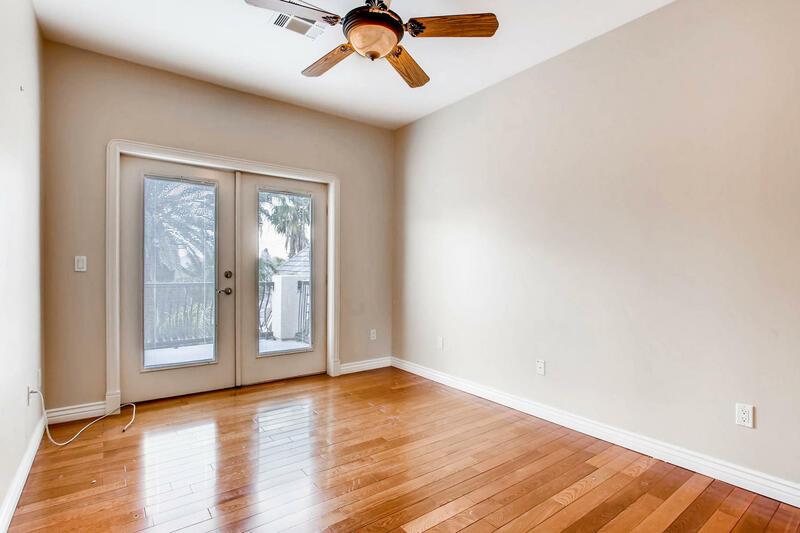 Real wood floors are found in every main room, along with plantation shutters. 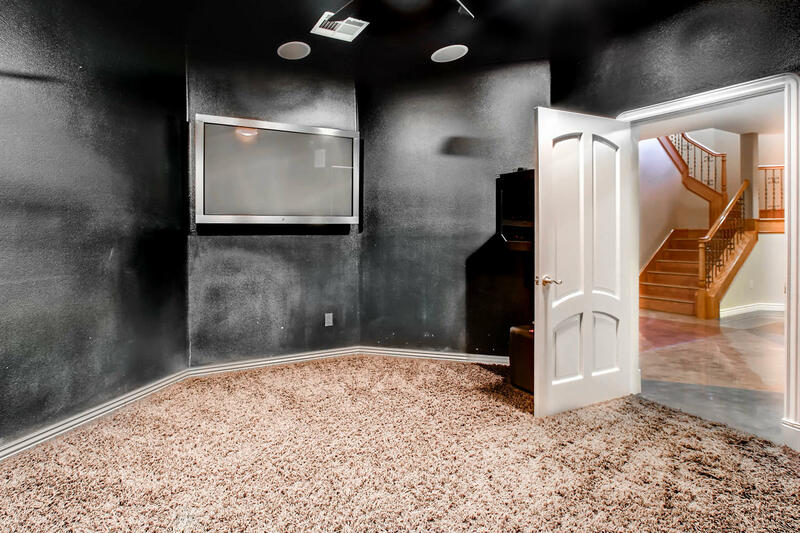 Surround sound sits at the ready in the family room, along with a separate system in the master bedroom. 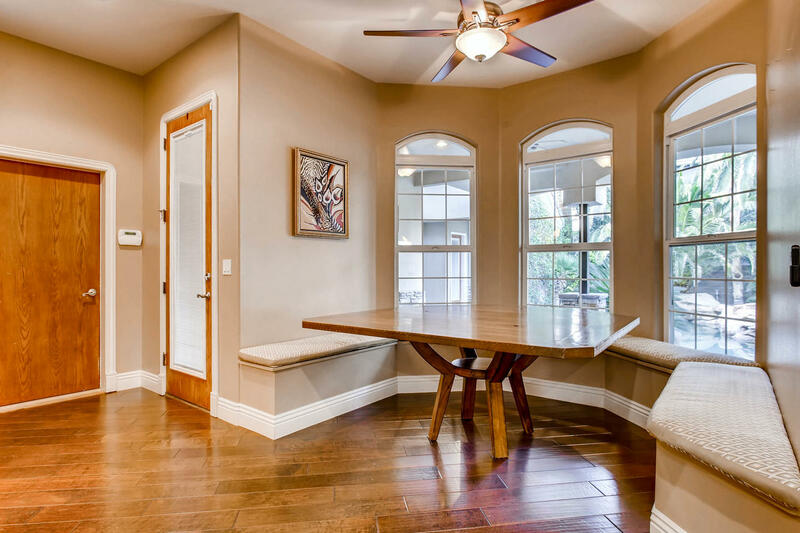 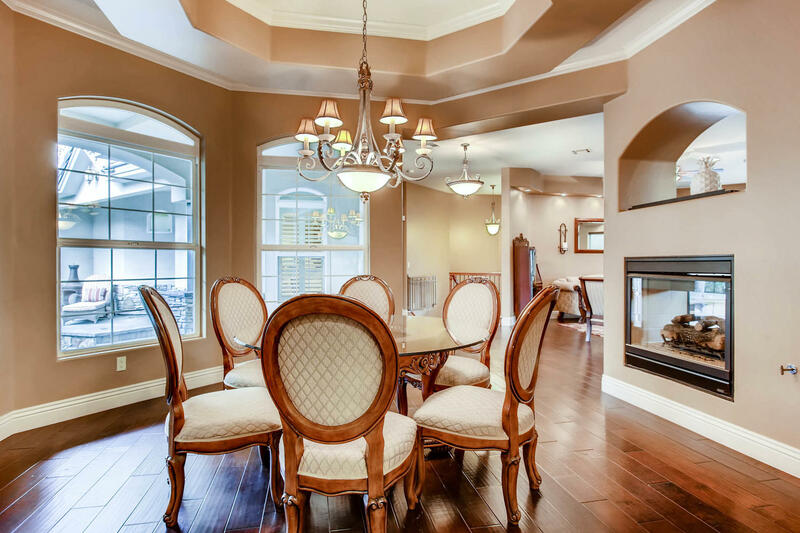 A round formal dining room is perfect for family gatherings, and overlooks the home’s grounds. 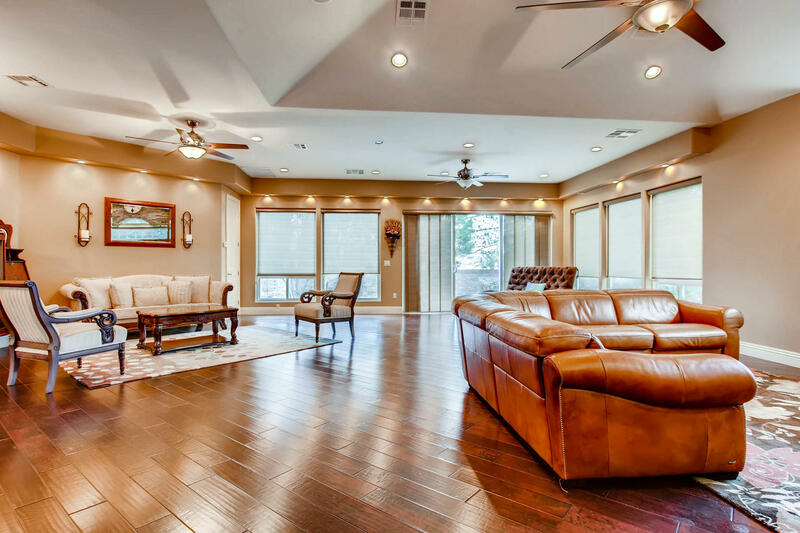 The family room offers access to the home’s rear yard, lined with trees and a child’s playground and in-ground trampoline. 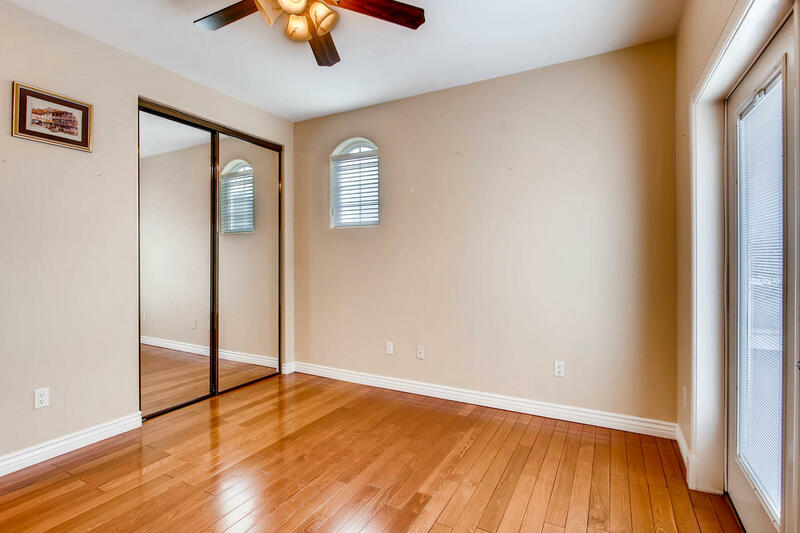 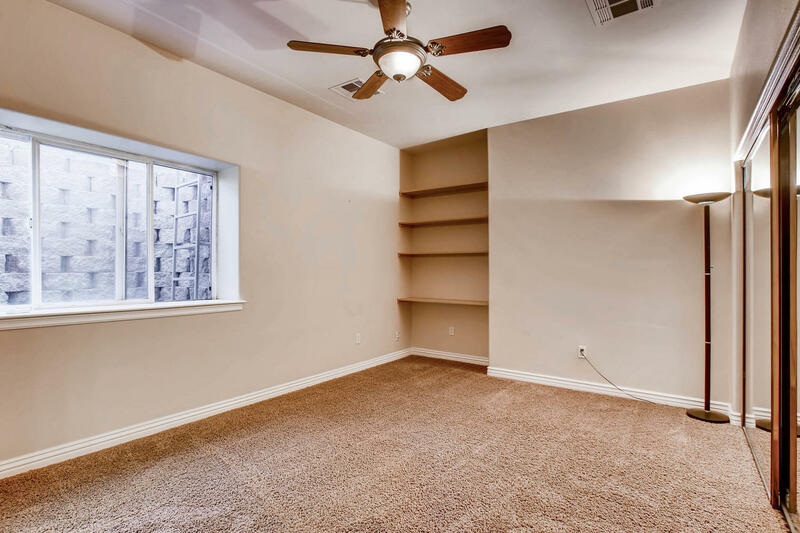 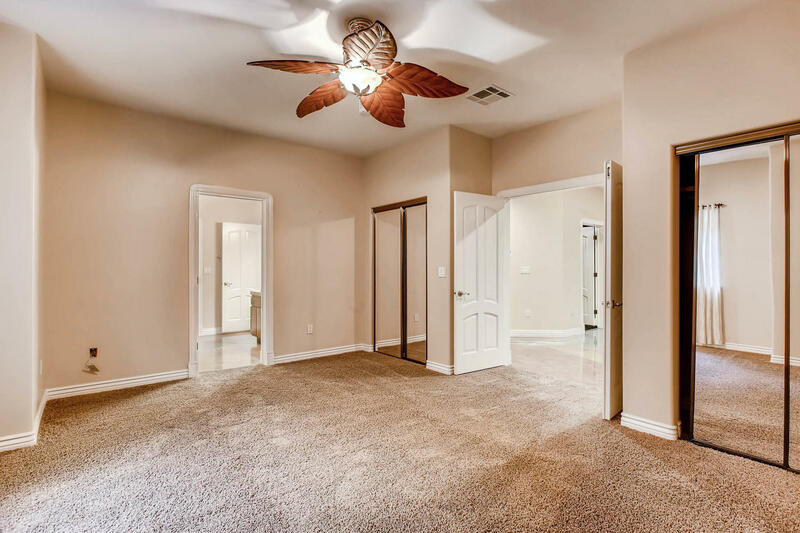 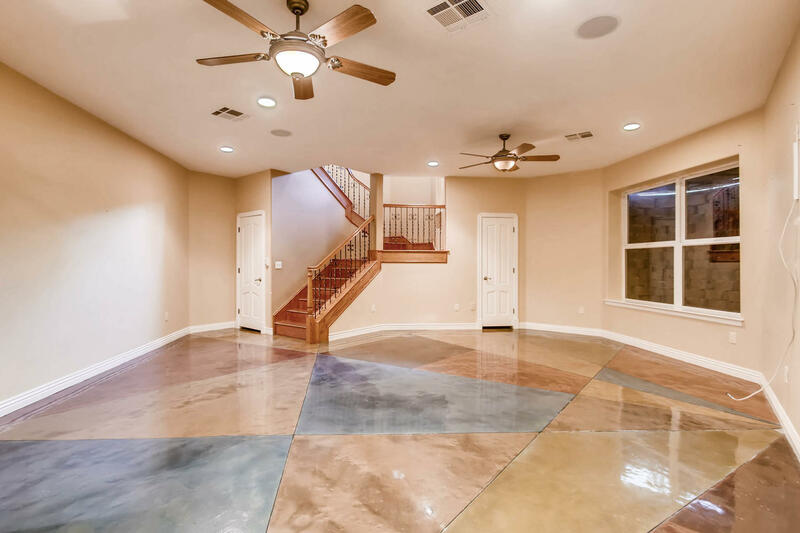 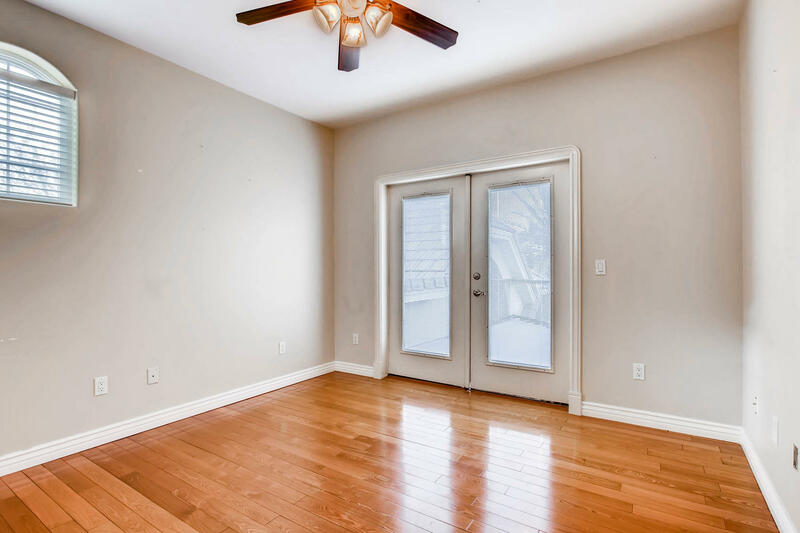 Downstairs basement lives like it’s own space, with a wetbar in the family room and 2 additional bedrooms, A bonus area off the main room is perfect for a kids play room or home theatre. 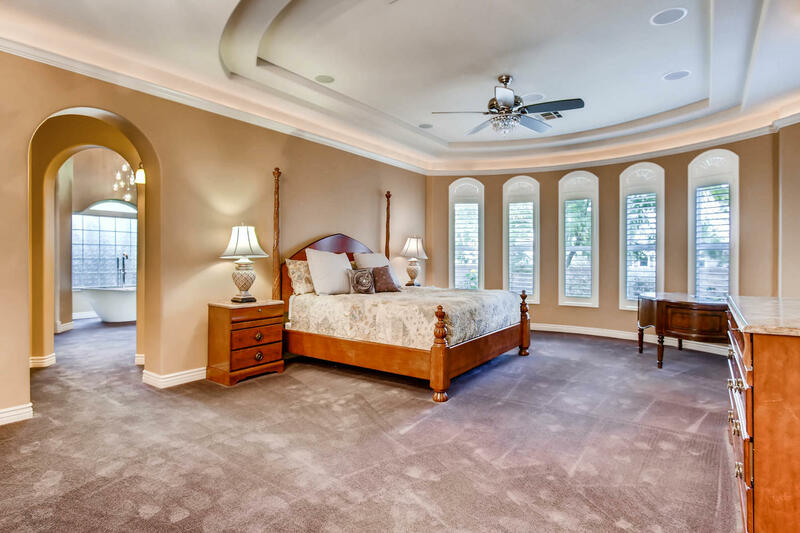 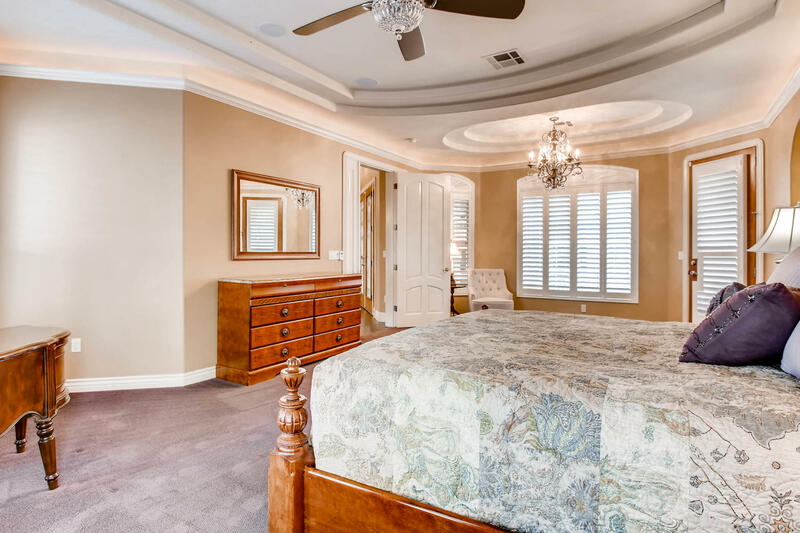 Located on the main floor, the master suite features recessed lighting, plantation shutters and ornate ceiling fixtures. 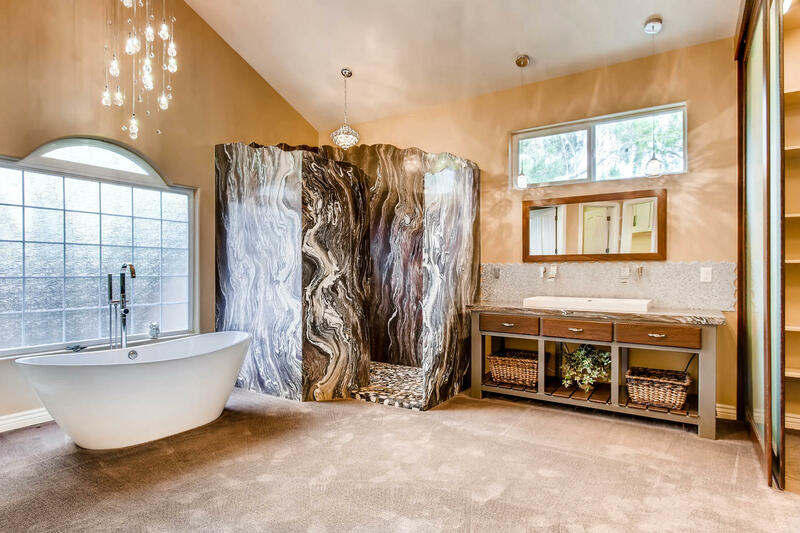 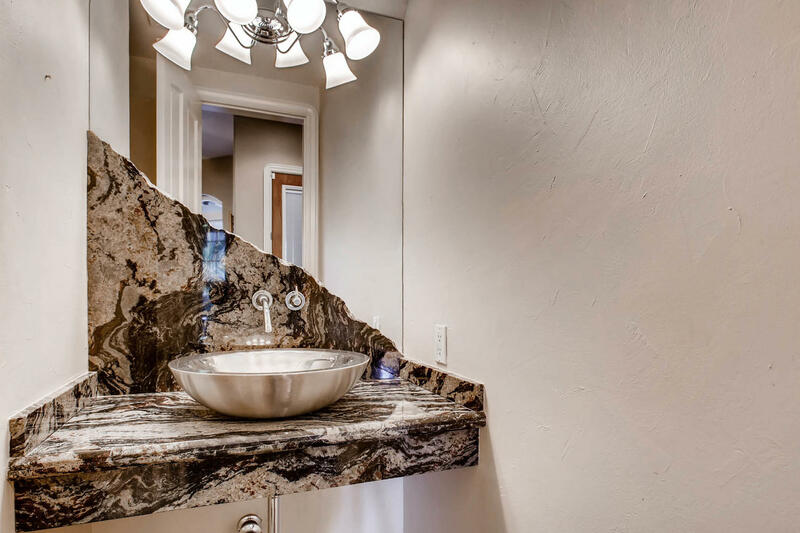 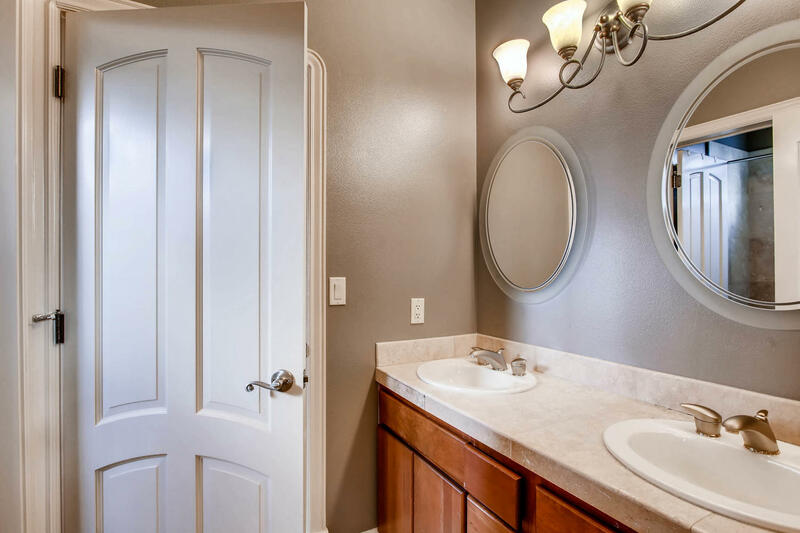 The master bathroom has been recently remodeled, featuring liberal amounts of stonework, rain shower and plenty of closet space. 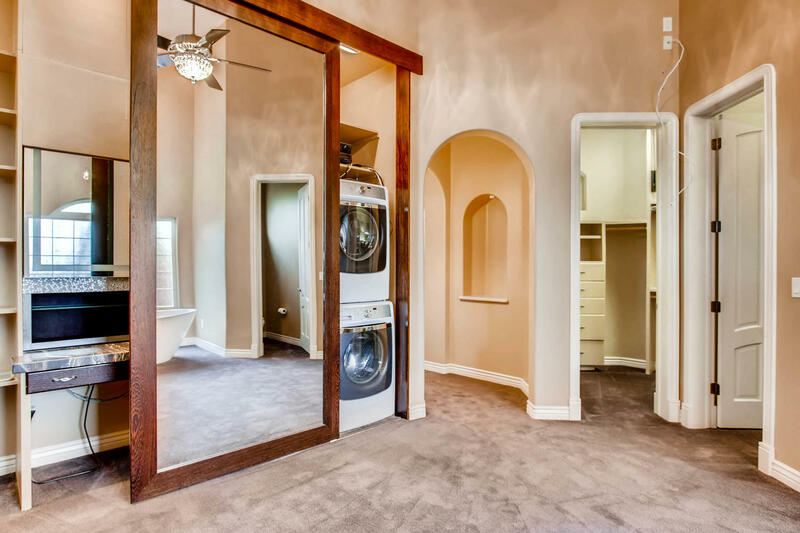 Behind discreet mirror doors are a dedicated washer and dryer for this beautiful space, as well as a safe for your most valued treasures. 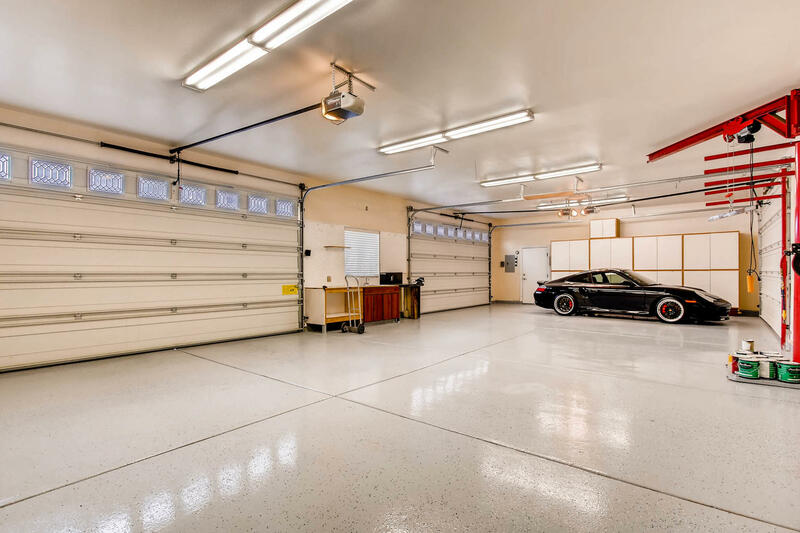 7 Car Garage – for the auto enthusiast in all of us . 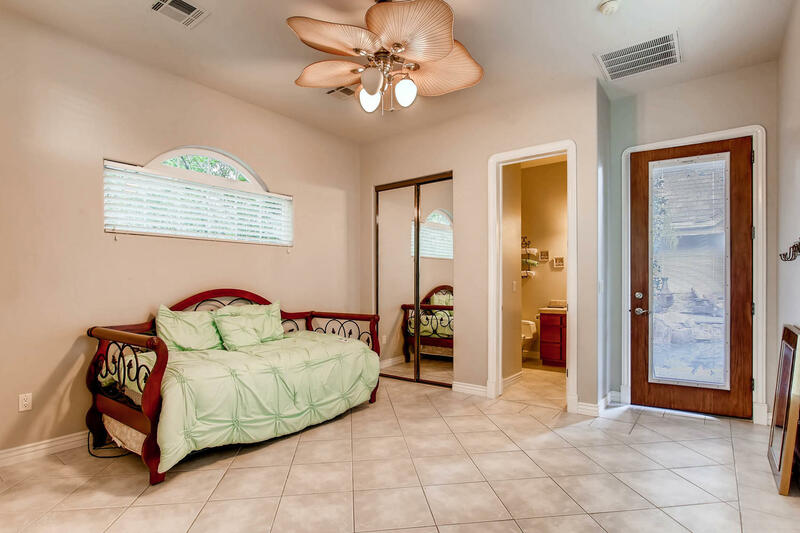 Included in this amazing home in an oversized 7 car garage and detached casita. 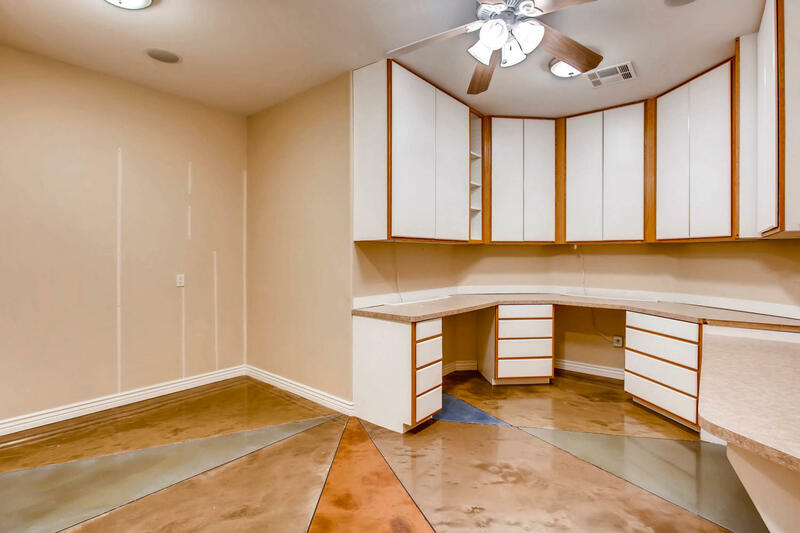 Sealed flooring, workspace and storage cabinets make this the ultimate man-cave. 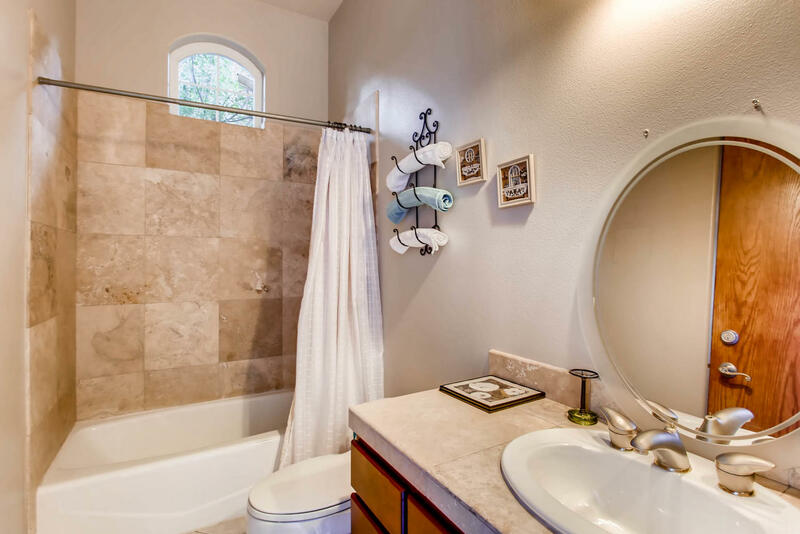 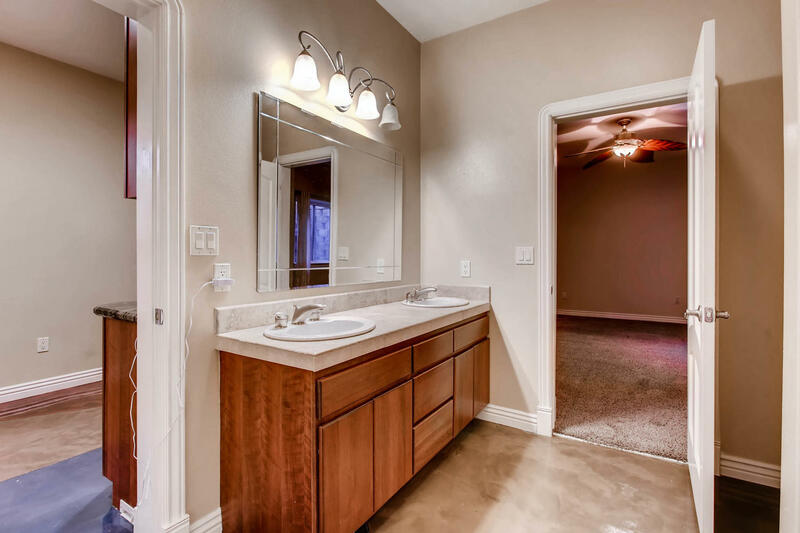 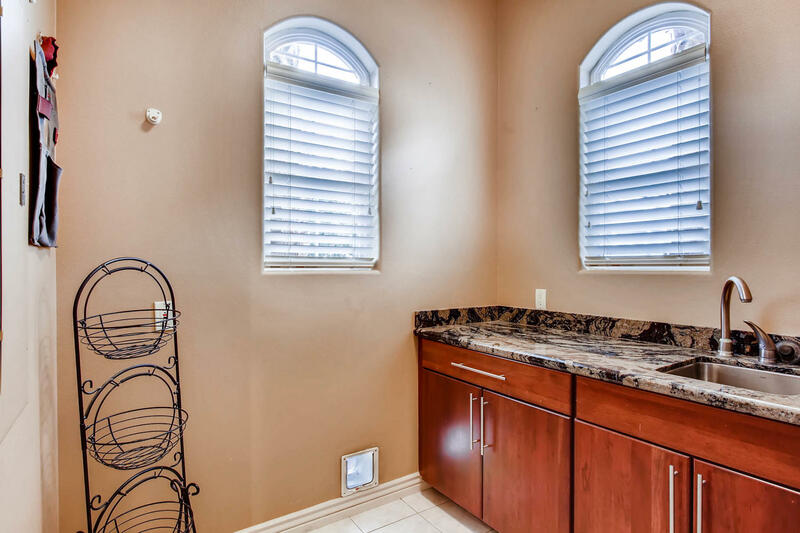 The casita offers it’s own bathroom and privacy from the main home. 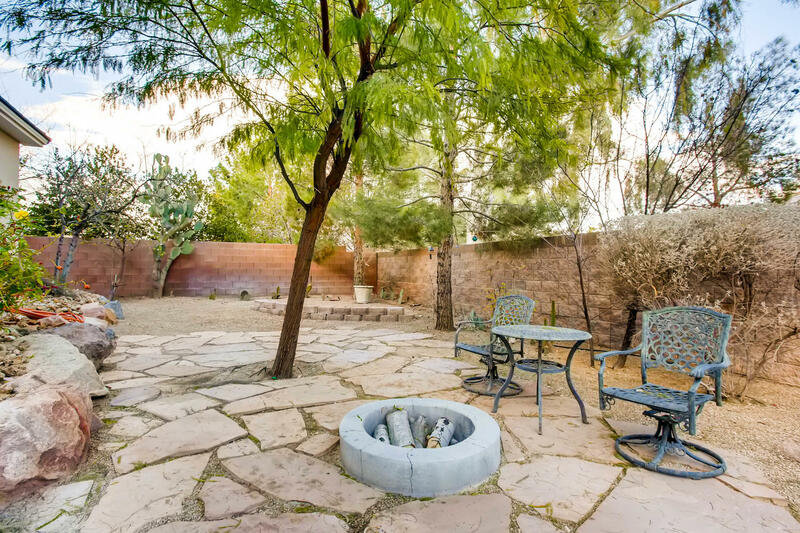 This home is located near Lone Mountain, featuring many outdoor adventure opportunities. 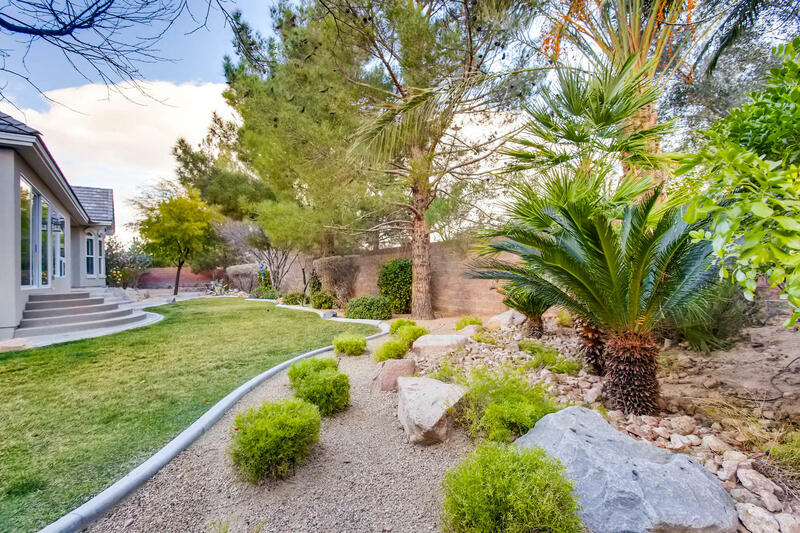 Hikers and path walkers will enjoy the 2 mile long trail around the mountain scape. 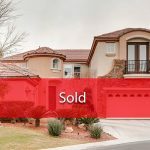 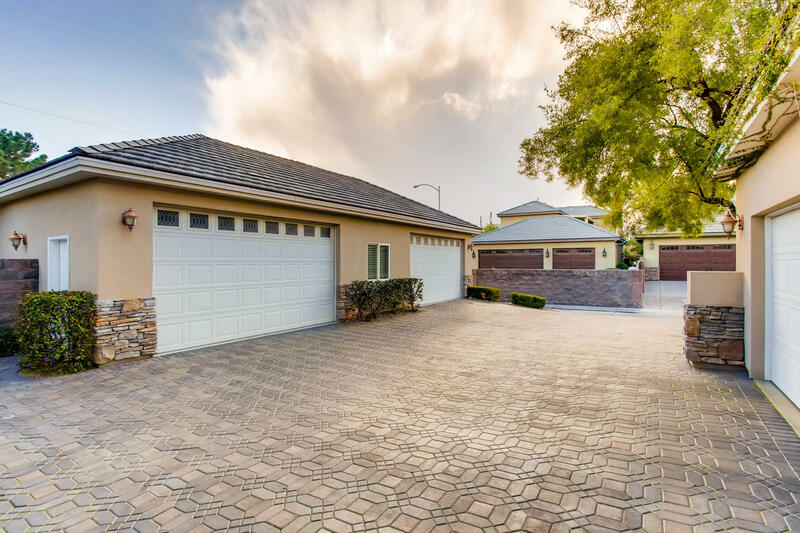 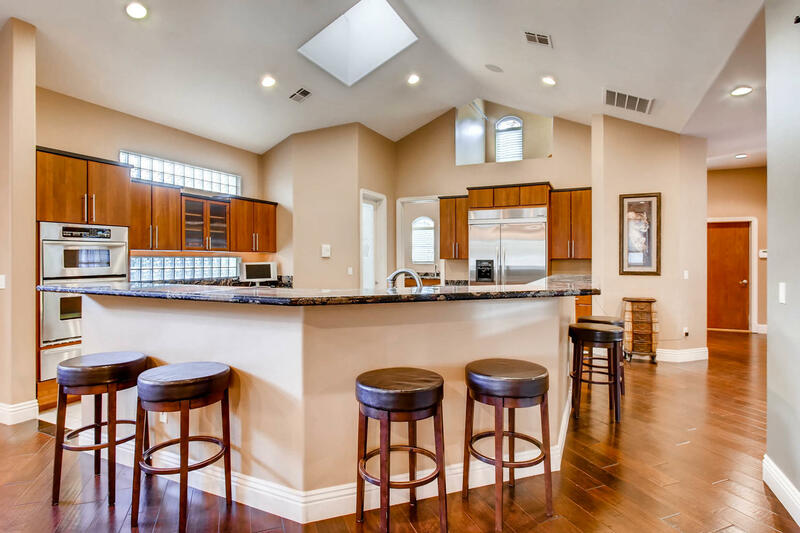 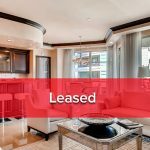 Horseback riding is possible nearby, and various recreational areas such as Lone Mountain Discovery Park, basketball, tennis courts are also not far from this beautiful home.